Most electric models require a 2 channel radio control system. There are two types of radio; the wheel trigger type and the stick type. 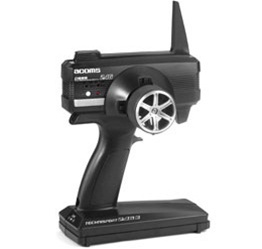 We sell a range of wheel and stick type radios. A popular wheel type radio is the Acoms Technisport 2 AP2401. This has the added advantage of being a 2.4GHz radio so you don't have the worry of interference caused by other nearby modellers. 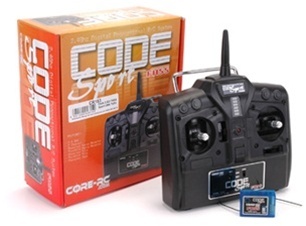 A great budget stick radio is the Core RC CR153. If you want more features such as model memory, then you should consider a computer radio system such as the Core RC CR151.